-- Select a Size/Color -- Peace Mimi - Out of Stock! Orange Circle Mimi - Out of Stock! Gumball Dot Mimi - Out of Stock! Flower Power Mimi - Out of Stock! 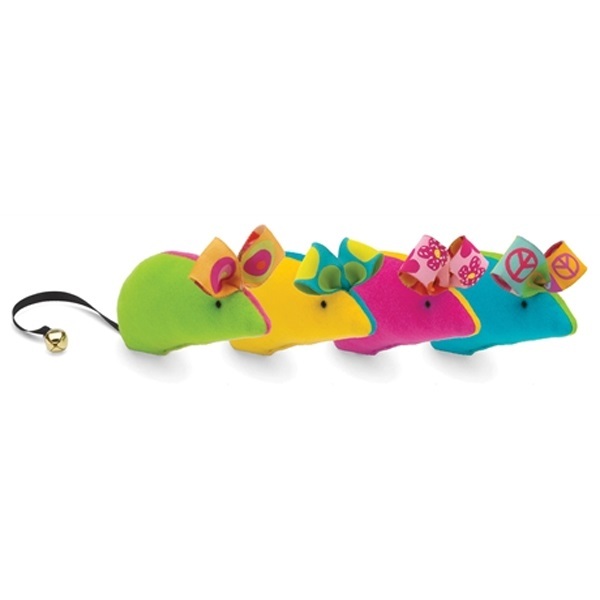 Cats will love playing with this stylish Mimi Mouse Catnip Cat Toy! Up Country's Mimi Mouse Catnip Cat Toy is decked out in bright colors, and Up Country's signature ribbons. Filled with 100% certified organic catnip, and a bell on the tail for even more excitement for kitty! Each Mouse sold separately. Soooo excited when I saw that BaxterBoo gives their first time customers a 25% discount. Because of that, I purchased a second item!